Niagara limousine services and Tours are our specialty! Who does not love to come in a royal style, especially when you can do that within the affordable budget? Our Limo Services are for every occasion starting from wedding to the corporate affairs. The groom wants to reach the wedding venue in style and our well decorated and designed Limousines help you to make your special appearance on your special day very special. If you are traveling to the beautiful city of Niagara Falls and region in Ontario, then our corporate Limos would take you to all your business locations. We even help you to Party or enjoy the special time in Limo. You can make this anniversary a special one with us. We even provide the Limousines for pickup and drop services to the Niagara Airport. You can even go for the Event Limo services and much more. We give one of the best party experiences in our luxury buses. We ensure that party is organized with a vibrant ambiance and adequate facilities. We even arrange the theme based parties for you. It does not matter whether you are partying for Birthday, Grad Day, Reunion, Friendship Day or whatever, our services ensure the best packages for all your needs. We ensure that theme parties are organized with decorated and designed theme. Do you love partying and enjoying with your friends? Have you been to the Bus Party? Well, you have missed something very interesting then. The we bring you the best service for Limousine and Bus Party. Here is your opportunity to unearth the best of the services. We arrange the Limo services and Bus Party for every occasion. Here is what you can get from us. What Out Limo Company offers? We are one of the most reputed Limo company that has changed the dynamics of Limo rentals. Our stock bar has a wide range of options that just add the required spice in your party and trip. When you are partying, you need music, and of course good music. Our excellent music collection with surround system can create the ambiance of the club. Forget about the worries of the drive, as we have the best drivers and you are always in the safe hands. It does not matter whether you are partying and want to update the Facebook or you are on your way to a business meeting and want to finish the presentation in our Limo, we provide fast and free internet services to you. Why Our Toronto Limousine VIP? 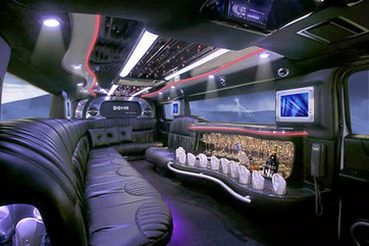 We have earned the reputation of being one of the best and professional services for the Limo and Bus Party in Niagara. We are prompt and always on time. We customize the plans for both Limo and Bus Party as per the requirement and make everything ready at the earliest. Our affordable cost for both the services makes us one of the most preferred in Niagara region. 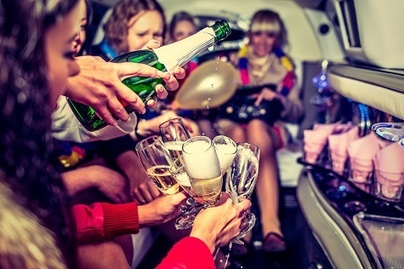 Are you planning for a Bus Party with friends or planning to hire the Limo for any special day? Don’t wait, book us in GTA!